marketing campaign activation and success. 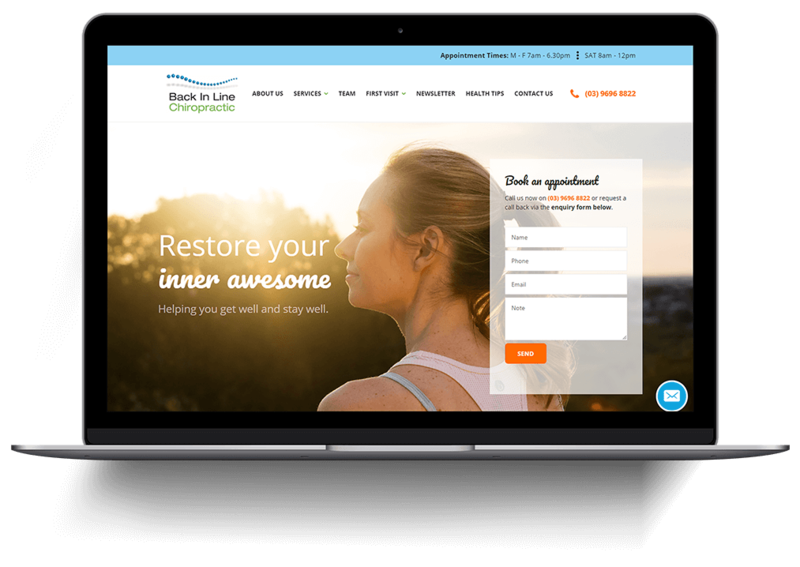 A respected Web Design Agency based in Melbourne Australia, Digital Rescue delivers strategy and purpose driven high conversion WordPress websites for businesses that value their website as a vital lead generating asset. WordPress Web Design is our specialty. As the world's most popular open source Content Management System (CMS), WordPress gives businesses full ownership and control over their website. Importantly, Google crawl and rank WordPress websites better than proprietary CMS websites. Your website is custom designed, helping you stand out against your industry competitors. eCommerce Website Design by Digital Rescue enhances your visual reputation, growing your online sales through a custom website unique to your business. SEO Compliant, Mobile and Cross Browser compatible, it adheres to high conversion design best practices. Unlike Shopify, WooCommerce Website Design is an open source eCommerce Plugin granting full FTP access to deliver the strongest possible SEO results. Delivering highly detailed and customised Website Audits, Google Adwords Audits and SEO Audits, our team of experts help you identify the gaps of your online marketing campaigns. All audits include actionable items helping you learn of the required tasks ahead that will steer your business towards achieving its online objectives and delivering a return on investment. Backed by a highly experienced team of experts in search engine optimisation (SEO), Google Adwords, and website design and development, we focus on providing ROI driven solutions for our clients through exceptional strategies that increase brand awareness, reputation, positioning against their competitors, and most importantly....higher conversions and more sales leads. Since 2007, our team of experts have accrued a respectable wealth of experience, having reviewed over 4,000 websites, developed over 400 WordPress Design Websites and implemented high conversion strategies that continue to deliver up to a 600% increase in conversions. Taking this opportunity to thank the fabulous team for their work and results! We’ve been searching for a web developer for years. Yes, years!! Not months, until coming across Digital Rescue. Digital Rescue is blessed with people who “get” you, “study” you and know how to translate that into a remarkable result. We’re thankful and grateful for finding this gem of a company amongst a sea of them in the marketplace and would highly recommend Digital Rescue. Australia’s respected brands and aspiring small to medium businesses have already experienced exponential growth with us. Discover how our strategies can help you experience the same.